MIAMI — A widely circulated video that allegedly shows agents from Customs and Border Patrol detaining a woman on a Greyhound bus, after demanding from people on board proof of citizenship, has sparked indignation by many. The bus stopped at a station in Fort Lauderdale, Fla., during its route from Orlando to Miami on Friday afternoon. The driver announced there would be a “routine” security checkpoint and that is when two uniformed agents boarded the bus and announced they were from Border Patrol, according to Florida Immigrant Coalition, a Miami-based advocacy group. The incident was captured on cell phone video by passengers on the back of the bus. One woman, who seemed puzzled, can be heard asking another passenger “is this new?” The video posted on the Florida Immigration Coalition’s Twitter account has more than 2.3 million views. The woman on the bus had an expired tourist visa and was arrested, the Border Patrol confirmed to the Miami Herald. She is currently in detention at the Broward Transitional Center in Pompano Beach. According to Florida Immigration Coalition, the woman is from Jamaica and was visiting her granddaughter for the first time in Orlando. Relatives of the detained woman contacted the Florida Immigrant Coalition on Friday and said they had not heard from her. Under federal law, U.S. Customs and Border Patrol agents may search any vessel, aircraft, or vehicle within 100 miles of any border for undocumented immigrants. Fort Lauderdale falls within 100 miles from Florida’s coast. Nonetheless, there has been outcry from immigration advocates against the Trump administration’s efforts to ramp up immigration arrests. 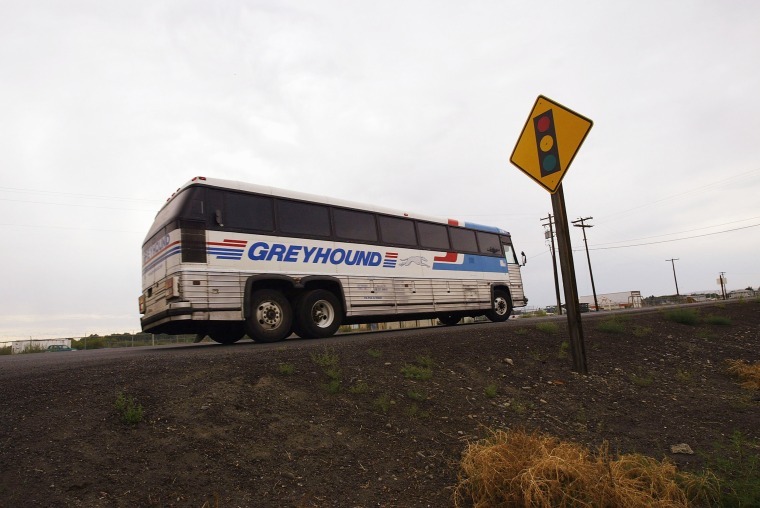 “This did not surprise me because this has been going on with Greyhound for years. I know it’s very dangerous to ride on Greyhound. All undocumented immigrants know this but it shouldn’t happen,” said Maria Bilbao, a community organizer with United We Dream, in Miami. She fears that if an immigrant whose DACA status has ended is questioned during one of these incidents, they will be arrested and deported. “With the Trump administration, it has been a persecution,” Bilbao added. There has also been outrage among civil liberties advocates.